Building the ecosystem. Leveraging the network. Helping our portfolio companies succeed. In a growing industry of more than 798 venture capital firms in the U.S. alone, as important as receiving capital is who you get it from. A few brand name venture capital firms embody legendary value-add that offer the edge to outperform others. Andreessen Horowitz, the forefather of value-add venture investing, has built an operating model around giving founders the ability run their companies as if they are serial entrepreneurs who have previously built successful startups. Kleiner Perkins opened a fellowship program to find talented individuals to work with their portfolio companies. First Round Capital has a team that helps their founders fast forward through the tough nitty-gritty of building an early stage company by using their “Pitch Assist Team” to help with their decks and pitches, or their “Talent Team” to connect their startups with top-tier candidates. At OurCrowd, we’re working towards disrupting the value-add model by leveraging our diverse global investment network – OurNetwork – to help portfolio companies succeed. Beyond portfolio companies, this vast network includes strategic multinational partners & corporations, seasoned founders & executives, and most importantly, investors from across the globe. From the moment the term sheet is signed, our portfolio companies will be able to plug into a supercharged network that gives founders — especially first-time founders — the tools and global rolodex of a seasoned CEO. While until now this has been a case-by-case manual process, we’re beginning to leverage OurNetwork in a more systematic and data-driven manner, building tools to optimize our efforts at every step of the way. For any startup, especially an Israeli startup, a major challenge is reaching relevant contacts in the target market. Sight Diagnostics, a company pioneering an innovative computer vision platform for cheaper, faster, and fully-automated blood diagnostics, was seeking connections to make the next push into the global market. In Q3 2016, the Sight team worked to gain introductions to doctors and managers at relevant medical facilities with the intention of conducting short phone interviews. Through key connected investors, Sight was introduced to Walgreens Healthcare Clinics, executives at Mayo Clinic and John Hopkins, and dozens of relevant doctors and managers of medical facilities. It’s no secret that early stage companies are in a fierce competition to increase their brand awareness. On top of that, it’s nearly impossible for early stage companies to control free virality and exponential organic growth. Surgical Theater, a virtual reality solution that combines the science of flight simulation with advanced CT/MRI imaging technology, was seeking a push into the global spotlight, but was having difficulty securing meaningful PR. Within 24 hours of receiving the request, an OurCrowd executive arranged a strategic interview with Surgical Theater and CNN’s Erin Burnett, that showcased the company in front of millions of viewers worldwide. As an investor, having a global network of thousands of fellow investors is a powerful tool. Aside from leveraging the network for strategic business and portfolio development, an essential piece of the puzzle is sourcing dealflow through the network. In mid-2016, an OurCrowd investor from the United States approached our Investment Team with an interesting company. As an early angel in the company, he brought us the deal as the company was raising their next round. 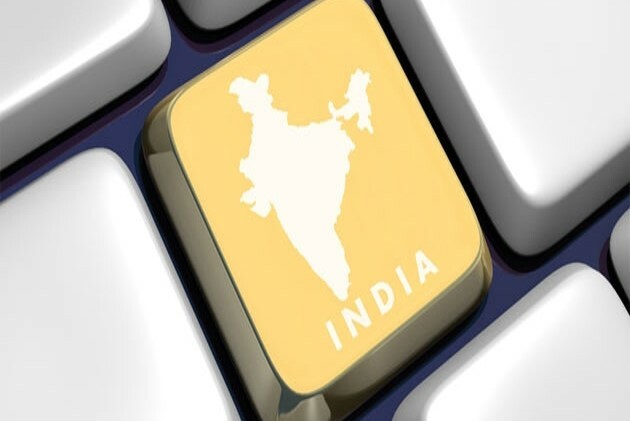 After performing thorough due diligence, including a site visit to their HQ in India, OurCrowd made an investment in the company’s Series A & B rounds. Through OurCrowd, 177 investors from 22 countries invested over $5.5M alongside Ford Motor Company, Sequoia Capital, and Nokia Growth Partners. In today’s landscape, top-tier VCs prevail because of their ability to build networks that provide quality dealflow and strategic value to their portfolio companies. While every venture capital firm’s marketing reflects their value-add, we’re working towards leveraging network effects on a global scale. Whether you’re a portfolio company in Tel Aviv, New York, Sydney, or Singapore, you will have the ability to tap into a global rolodex without going through the obstacles that often drain enormous time, effort and resources. While the anecdotes above provide a glimpse into our unique model, there’s a pipeline of value-add tools and a vault of OurNetwork success stories that have gone untold and unnoticed. In the coming weeks and months, we’ll be launching game-changing tools that redefine collaborative participation from the greater ecosystem. Regardless of who you are, we’re betting that you have a role to play. If you want a sneak peak into our global innovation network and are interested in getting involved, introduce yourself here. Thanks to Stav Erez, Liz Cohen, and Laly David for contributing to this article. As OurCrowd’s investments continuously grow both in size and quantity, our existing portfolio companies are rapidly expanding too. To date, OurCrowd has invested $300M in over 100 portfolio companies, many of which won international awards and are widely acclaimed for their innovative products and amazing all-star teams. Wave is always interested in talking to smart, creative, energetic people who can help them help small businesses — view their current job opportunities. Customer Support Hero; Toronto, Canada. Data Insights Developer; Toronto, Canada. Director, Software Engineering; Toronto, Canada. Growth Marketing Manager; Toronto, Canada. Payroll Product Manager; Toronto, Canada. Product Marketing Manager; Toronto, Canada. Senior Software Engineer; Toronto, Canada. Software Engineer – Ruby; Toronto, Canada. Software Engineering Coop; Toronto, Canada. Software Engineering Manager; Toronto, Canada. CrediFi is a fast growing startup that’s redefining the Multi-Trillion Commercial Real Estate Finance market, see below for its current job openings or contact them. Junior Research Analyst; Modiin, Israel. Mobile/Web QA Engineer; Modiin, Israel. Automation QA Engineer; Modiin, Israel. Sales Development Representative; Modiin, Israel. Junior Content/Data Analyst; Modiin, Israel. Content QA Engineer; Modiin, Israel. Functional QA Engineer; Modiin, Israel. Sales Executive; New York, USA. Full Stack (C#/Angular) Developer; Modiin, Israel. ProoV is rapidly growing and are looking for exceptional people to join their family! VP R&D Manager; Herzliya Pituach, Israel. Senior Front-End Developer; Herzliya Pituach, Israel. Senior Java/J2EE Developer; Herzliya Pituach, Israel. Big Data Developer; Herzliya Pituach, Israel. VP Product Manager; Herzliya Pituach, Israel. Business Development; Herzliya Pituach, Israel. VP Sales; Herzliya Pituach, Israel. CyberX invites you to join their team of creative enthusiastic people, working together to design and develop breakthrough security solutions in a fun, collaborative work environment. If you are driven by challenge, inspired by innovation, and want to work in the most interesting field in the security industry, please submit your CV to info@cyberx-labs.com. If you are looking to work with extremely smart people in an environment that demands vision and pushes innovation, then Celeno is the company for you. DSP/PHY Firmware Engineer; Ra’anana, Israel. Experienced Software Engineer; Ra’anana, Israel. SW Field Application Engineer; Ra’anana, Israel. Senior VLSI Verification Engineer; Ra’anana, Israel. Senior VLSI Designer; Ra’anana, Israel. Wireless Algorithm Engineer; Ra’anana, Israel. SW QA Student; Ra’anana, Israel. Presale and Application Engineer; USA. Sales Engineer (Pre-Sales); Beijing, China. Field Application Engineer (FAE); Taipei, Taiwan. Kenna has a small but mighty team committed to constantly learning, measuring, and improving their products and their customers’ experience — they are looking for the best to join the best! Customer Support Engineer; Chicago, USA. Nanorep, the next generation of self-service, is looking for talented, enthusiastic people to join their team. If you are interested in contributing your talent, experience and passion – Nanorep wants you on board! Positions location: USA, India, and Israel. Are you a BioCatchy person? Join the coolest startup in FinTech today! Junior Technical QA Engineer; Tel-Aviv, Israel. Purchasing specialist – Mechanics; Israel. Quality and Procurement Engineering; Israel. ASIA Field Support Engineer; Shenzhen, China. Field Support engineer; Denver, USA. Pre-sales application engineer; UK or Benelux. Pre-sales Application Engineer; East Coast or Central Region, USA. Even if there is not a current position but you have the relevant experience in the above disciplines then we would like to hear from you here. Based in San Francisco, PowWow Mobile is building a team of collaborative individuals with a broad range of talents, and are always looking for smart people. If you’re interested in joining their team, send your resume with a cover letter and what you’re interested in to careers@powwowmobile.com. Enterprise Sales Representative; San Francisco, New York, Chicago, USA; London, UK. Enterprise Pre-Sales Consultant; San Francisco, New York, Chicago, USA; London, UK. If you’re a self-starter with an entrepreneurial spirit, consider CropX for your next career move. enVerid is looking for talented people to join their team! Senior Product Marketing Manager; Needham, MA, USA. Senior Product Manager; Needham, MA, USA. Inside Technical Sales Representative; Needham, MA, USA. Regional Sales Manager; Tampa, FL, USA. Outside Sales Specialist; Needham, MA, USA. Join the Bouq Life — the company is looking for the best! Customer Experience Representative; Marina Del Rey, CA, USA. MBA Analytics Intern; Marina Del Rey, CA, USA. Product Manager; Marina Del Rey, CA, USA. QA Manager; Marina Del Rey, CA, USA. Senior UX Designer; Marina Del Rey, CA, USA. VP / Sr. Director, Human Resources & Talent Development; Marina Del Rey, CA, USA. Argus invites you to explore their open job opportunities to join them in the Internet of Vehicles revolution! Security Architect; Tel Aviv, Israel. Car-Hacking Researcher; Tel Aviv, Israel. Car Hacker – Protocols Researcher; Tel Aviv, Israel. Intellectual Property Manager; Tel Aviv, Israel. FPGA Developer; Tel Aviv, Israel. Linux Developer; Tel Aviv, Israel. Senior Cyber Security Developer; Tel Aviv, Israel. Cyber Security Developer; Tel Aviv, Israel. Automotive Embedded Systems Software Engineer; Tel Aviv, Israel. Zoomcar strives to build a very passionate and driven team to oversee their explosive growth — join them today! Principal Software Developer; Bangalore, India. Senior Software Developer; Bangalore, India. Sr Analyst/Manager Analytics; Bangalore, India. Associate Product Manager; Bangalore, India. Want to work by the beach? Are you smart and talented? Ubimo is looking for you! Check out its open positions. Lead DevOps Engineer; Tel Aviv, Israel. Director of Sales; New York City, USA. Front End Developer; Tel Aviv, Israel. Expert Automation Engineer; Tel Aviv, Israel. C++ Developer; Tel Aviv, Israel. Senior Director of Sales; New York City, USA. Account Manager; New York City, USA. Technical Ad-Op; Tel Aviv, Israel. Java Developer; Tel Aviv, Israel. Become part of an enthusiastic, diverse team dedicated to redefining cybersecurity! Director of Field Engineering; Beer-Sheva, Israel. Director of Channels Sales EMEA; Israel. Director of Channel Sales; around Boston, USA. ElMindA is looking for ‘brainy’ people to join their team! Director of Product Development; Israel. Influitive is building a team of exceptional people wanting to shape the future of marketing and create an enduring company. Customer Success Manager/Advocacy Coach; Toronto, Canada. Accounts Payable Coordinator; Toronto, Canada. VP Finance & Operations; Toronto, Canada. Director, Demand Generation; Toronto, Canada. Head of Product Marketing; Toronto, Canada. Marketing Programs Manager (Campaigns Manager/Digital Marketing Manager); Toronto, Canada. Senior Product Manager; Toronto, Canada. Junior Operations Analyst; Toronto, Canada. Are you interested in joining the Mark One team? Perfect timing! Mark One is looking for folks who share their passion for empowering consumers to make healthier choices in real time. Global Retail Sales Director; San Francisco, USA. At the cutting edge of monitoring and control system development, mPrest is looking for talented, creative, and motivated professionals to join their dynamic and growing team. Check out their job openings! To apply, send your CV to jobs@mprest.com. C # Full Stack Developer; Petach Tikva, Israel. Presales Director; Petach Tikva, Israel. Cloud Architect; Petach Tikva, Israel. Senior JAVA Full Stack; Petach Tikva, Israel. System Administrator; Petach Tikva, Israel. Cloud Software Developers; Petach Tikva, Israel. .NET Developers; Petach Tikva, Israel. Senior .NET Software Developer; Petach Tikva, Israel. Join Panorama’s unique innovation environment mixed with a lot of experience in the market. Inside Sales Manager; Tel Aviv, Israel. SDR – Sales Development Representative; Tel Aviv, Israel. Inside Sales Manager; Dallas, TX, or Atlanta, GA, USA. If you’re interested in helping start a revolution to make every aspiring consumer creditworthy, then join RevolutionCredit. Regional VP, Business Development; Orange County or New York, USA. Replay Technologies is leading the next big revolution in video. If you would like to inquire about open opportunities, please submit your resume/CV by email to: info@replay-technologies.com. Want to Become an Agentologist? Upload your resume and complete the contact form on the company’s website (bottom of page) and an Agentologist will be in touch with you within the week if they think it seems like a good fit. Bat Blue is looking for energetic, goal oriented, creative, and resourceful individuals to join its team. To apply, click here or email careers@batblue.com. Demand Generation/ Inside Sales Associate; New York, USA. Regional Director of Sales; Chicago, USA. Director of Demand Generation/ Inside Sales; New York, USA. Regional Director of Sales; Atlanta, USA. Cloud Security Pre-Sales Engineer; Chicago, USA. Cloud Security Pre-Sales Engineer; Los Angeles, USA. DevOps Engineer; New York, USA. Team Lead (Python); Reston, VA, USA. Senior Development Representative; New York, USA. Head of Content Marketing and Social Media; New York, USA. Media Manager; New York or Palo Alto, USA. Sales and Field Tech Support Distributors; Israel. Sales and Field Tech Support Agents; Israel. Sales and Field Tech Support Employees; Israel. Front End Team Leader; Modi’in, Israel. Senior Software Developer – Backend team; Modi’in, Israel. Team Coordinator – QA video tagging activity; Modi’in, Israel. If you have a passion for innovation and looking for a dynamic and rewarding career, VocalZoom is the place for you! For more information, email VocalZoom’s HR recruiter michal@vocalzoom.com. If you are talented, want to improve transportation, and have an entrepreneurial mindset — SoBi wants to hear from you! Transportation Planner; New York, USA. Operations Manager; New York, USA. Financial Controller; New York, USA. Junior Algorithms Engineer; Tel Aviv, Israel. Senior Algorithms Engineer; Tel Aviv, Israel. Mechanical Engineer; Tel Aviv, Israel. Application SW Engineer; Tel Aviv, Israel. Graphics SW Engineer; Tel Aviv, Israel. Senior Embedded SW Engineer; Tel Aviv, Israel. Junior Embedded SW Engineer; Tel Aviv, Israel. Senior SW Engineer; Tel Aviv, Israel. Senior Graphics SW Engineer; Tel Aviv, Israel. Want to help millions of people prosper? Come work with BillGuard! The company is rebuilding personal finance from the ground up for a new generation that wants to manage money in smarter ways. Product Manager; Tel Aviv, Israel. Community Manager; Tel Aviv, Israel. Full Stack Engineer; Tel Aviv, Israel. Product Designer; Tel Aviv, Israel. Senior Security Engineer; Tel Aviv, Israel. Don’t see a job that fits you exactly, but think you can help BillGuard on their mission? Let them know! Crosswise are looking for best-of-the-best data scientists and software developers who are interested in furthering their careers in a cutting-edge tech startup. If the idea of solving huge, data-centric challenges excites you, send your CV to careers@crosswise.com. Consumer Physics is expanding — join their dynamic, multi-disciplinary team! Software BackEnd Team Leader; Israel. QA & Automation Engineer; Israel. eVigilo’s core team is made up of visionaries who understand how emergency communication technologies and platforms are changing the face of the future. If you are a motivated team player that shares their vision and want to help create new ways for making the world a safer, more secure place using multichannel communication technologies, we encourage you to contact eVigilo about employment opportunities. Want to join the freight revolution? Check out Freightos’s available positions below and join the team! Data Engineer // Customer Operations Department; Beit Shemesh, Israel. Freight Team Associate // Freight Team Department; Jerusalem, Israel. Inbound Sales Associate // Marketplace Department; Miami, FL, USA. Marketplace Data Specialist // Marketplace Department; Beit Shemesh, Israel. SDE // R&D Department; Ramallah. R&D Manager // R&D Department; Ramallah. R&D Intern // R&D Department; Ramallah. Data Services Support Engineer // Support Department; Ramallah. UX Designer // UX& Design Department; Jerusalem, Israel. Finance & Operations Associate; New York, USA. 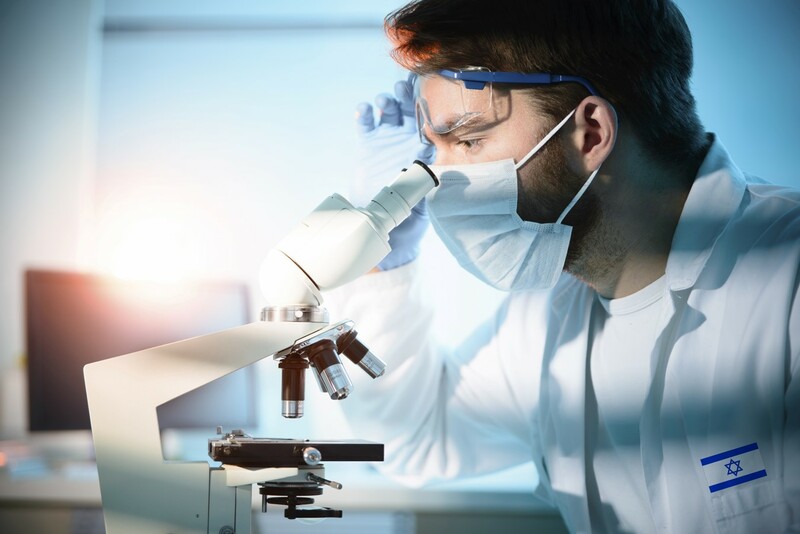 The Trendlines Group is an innovation commercialization company that invents, discovers, invests in, and incubates innovation-based medical and agricultural technologies. Join their team! VP Business Development, Trendlines Medical; Misgav Industrial Park, Israel. Bizzabo is looking to hire superheroes — check out their open positions! Content Strategist; New York City, USA. Marketing Intern; New York City, USA. Sales Intern; New York City, USA. Account Executive; New York City, USA. Business Development Representative; New York City, USA. Customer Success Manager; New York City, USA. Back-End Developer; Tel Aviv, Israel. Front-End Developer; Tel Aviv, Israel. Customer Success Manager; Tel Aviv, Israel. Don’t see anything that suits your fancy? Send Bizzabo your resume anyway to jobs@bizzabo.com. They are always hiring in both Israel and NYC! Boatbound is looking for people that want to lead, can contribute ideas, and help make the company better and a great place to work. As OurCrowd’s investments continuously grow both in size and quantity, our existing portfolio companies are rapidly expanding too. To date, OurCrowd has invested over $220M in 93 portfolio companies, many of which won international awards and are widely acclaimed for their innovative products and amazing all-star teams. Marketing Manager; Tel Aviv, Israel. Quality Engineer; Tel Aviv, Israel. Research Team Leader; Tel Aviv, Israel. Summer Interns; New York City, USA. Junior Graphic Designer; Tel Aviv, Israel. While the company remains lean, they are always interested in meeting with interesting partners and potential future employees. Sr. Director, Brand Marketing; Venice, CA, USA. Account Manager; Venice, CA, USA. If you want to make a huge impact on an amazing cybersecurity startup and a group of wonderful people, Morphisec wants to talk to you! Full Stack Java Developer; Beer-Sheva, Israel. Head of Business Development, K12 – North America; New York, NY, USA. Head of Customer Experience and Support; New York, NY, USA. Software Engineer; New York, NY, USA. Web Engineer; New York, NY, USA. VP Level Executive; Tel Aviv, Israel. VP Sales – We are looking for a Leader; Tel Aviv, Israel. Pre-Sales/Post-Sales Consultant – Professional Services; Tel Aviv, Israel. Inside Sales Representative; Tel Aviv, Israel. HTML5 Developer Team Leader; Tel Aviv, Israel. Marketing Database Manager; Tel Aviv, Israel. Business Development Associate; New York City, USA. Senior Signal Processing Engineer; Yokneam Ilit, Israel. Join the Covertix team to make a difference together! Senior Solutions Architect; East Coast (New York/New Jersey/Connecticut preferable), USA. Marketing Director; Kfar Saba, Israel. Full stack developer; Kfar Saba, Israel. QA engineer: Junior; Kfar Saba, Israel. Senior Programmer; Petach Tikva, Israel. AWS Software Developers (For C2 System Development) Experience; Petach Tikva, Israel. System Engineer (For C2 Systems) Experience; Petach Tikva, Israel. Cloud Software Developers (For C2 System Development) Experience; Petach Tikva, Israel. Electronics Engineer; Petach Tikva, Israel. Junior .NET Software Developer; Petach Tikva, Israel. 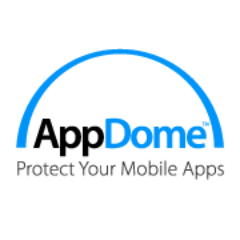 Join the AppDome team to take a pivotal role in protecting the dynamic smartphone/tablet industry. If you are ready to accelerate delivering the Perfect Predator for unstructured data storage, then you’re talking to the right people — join the NooBaa team! Software Engineer, Production Infrastructure; Toronto, Canada. Stringify are hard at work developing new ways to help you connect your life. Take a look at their job openings! Front End Engineer; Los Gatos, CA, USA. Are you smart, ambitious, creative and thirsty for a challenge? Influitive is looking for dedicated individuals who want to shape the future of a new, promising tech startup to join its team. Marketing Programs Manager (Campaigns Manager/Digital Marketing Manager); Boston, USA, & Toronto, Canada. Chief of Staff (CEO Consultant/Advisor); Toronto, Canada. Mobile UX/UI Designer; Toronto, Canada. Business Development Representative (BDR); Boston, USA, & Toronto, Canada. Director, Sales Productivity & Enablement; Toronto, Canada. Regional Sales Manager; Boston, USA. Regional Sales Manager; San Francisco, USA. ProoV is looking for talented people to join their team! Business Analyst; Hertzlia Pituach, Israel. Senior Front-End Developer; Hertzlia Pituach, Israel. Big Data Developer; Hertzlia Pituach, Israel. Marketing Director (B2B); Hertzlia Pituach, Israel. Inbound Junior Product Manager; Hertzlia Pituach, Israel. Senior Software QA Engineer; Hertzlia Pituach, Israel. Customer Success Manager; Hertzlia Pituach, Israel. Graphic Designer; Tel Aviv, Israel. MST– Medical Surgery Technologies is looking for talented people to fill the following positions. See something you like? Email your CV to sitvanit@mst-sys.com. Regional Director of Sales; Dallas, USA. Regional Director of Sales; Los Angeles, USA. Regional Director of Sales; Washington D.C., USA. Regional Director of Sales – Research Triangle Park; Durham, NC, USA. Regional Director of Sales; Seattle, USA. Regional Director of Sales; Boston, USA. Regional Director of Sales; Toronto, USA. Regional Director of Sales; San Francisco, USA. Director of Demand Generation/ Inside Sales; New York, NY, USA. Cloud Security Pre-Sales Engineer; New York, NY, USA. Demand Generation/ Inside Sales Associate; New York, NY, USA. Team Lead (Python); New York, NY, USA. DevOps Engineer; New York, NY, USA. Threat Intelligence Analyst; New York, NY, USA. Cloud Security and Network Principal Engineer; New York, NY, USA. Commercial Real Estate Loans Data Analyst; Modiin, Israel. Loan Team Data Scientist; Modiin, Israel. Capital Markets Intern; Modiin, Israel. Business Development Executive; New York, USA. PR Internship; New York, USA. Business Development Manager for USA; USA. Business Development Manager for Europe; Europe. North America Sales Manager; Based in NY/NJ/MA, USA. Based in San Francisco, PowWow Mobile is building a team of collaborative individuals with a broad range of talents, and are always looking for smart people. If you’re interested in joining their team, send your resume and what you’re interested in to careers@powwowmobile.com. Game-changing solution for advanced cyber threats — check out these career opportunities at BioCatch! Happy holidays and welcome to December’s edition of What We’re Investing In. By the end of 2015, there will be over 85 companies in the OurCrowd portfolio. In one month from today, we’ll kick off our 2nd annual Global Investor Summit in Jerusalem to discuss future investment and tech trends while reviewing the incredible innovation we’ve seen in the last year. Register here; we hope to see you! Here is a summary of all of the currently funding companies on the OurCrowd platform. The Internet of Things is one of the most popular startup trends whose simple goal is to connect ordinary “things” to the internet. This company takes the mostly un-technological process of farm irrigation and streamlines it through an intuitive mobile application. The app instructs farmers to deploy sensors throughout their field, which then continuously analyze the surrounding soil and its specific needs. 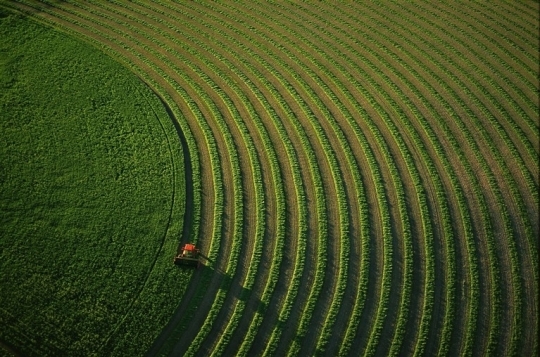 The information collected is transmitted to the farming equipment, automatically populating it with the optimal inputs. Aside from the farmer’s valuable time, this technology can save up to 25% of the extra water typically used to irrigate fields, dramatically cutting costs and increasing margins. There are 21.9 million diabetics in the United States alone. In 2014, 11% of healthcare expenditure on adults was attributed to costs relating to diabetes. In order to begin to solve the diabetes epidemic, this company has decided to focus on an even larger population of individuals classified as “pre-diabetic.” Using an accurate prediction engine, the company can assess individualized diabetes risk and conversion time horizon. The prescription only mobile application also includes a behavioral modification engine, which acts as a digital health coach. These small lifestyle changes suggested by the app have been proven to show drastic results in decreasing the likelihood of developing type 2 diabetes. Commercial buildings spend a huge amount of resources to maintain safe carbon dioxide levels. Traditionally, buildings replaced indoor air with fresh, outdoor air, a process that consumes a huge amount of energy and represents a large portion of a building’s overall energy costs. This company uses a proprietary technology to eliminate CO2 by recycling the air in a building instead of replacing it with air from outside. 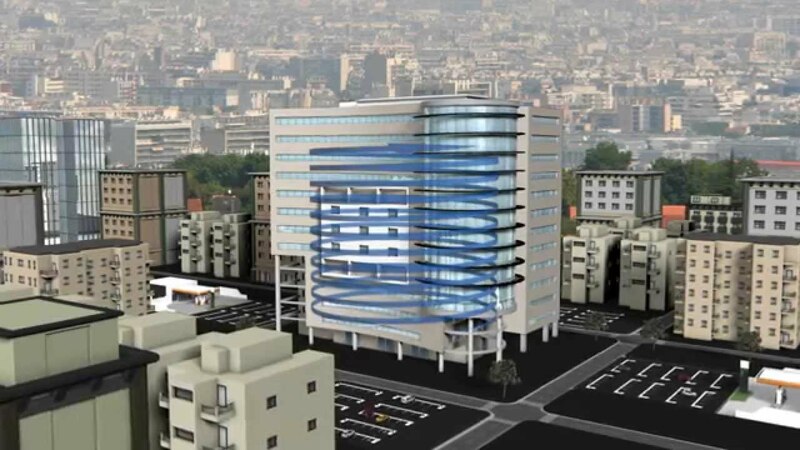 This revolutionary approach can save buildings up to 40% annually on their heating and cooling energy costs. The technology used in these systems were originally developed to maintain air quality in submarines and space stations. 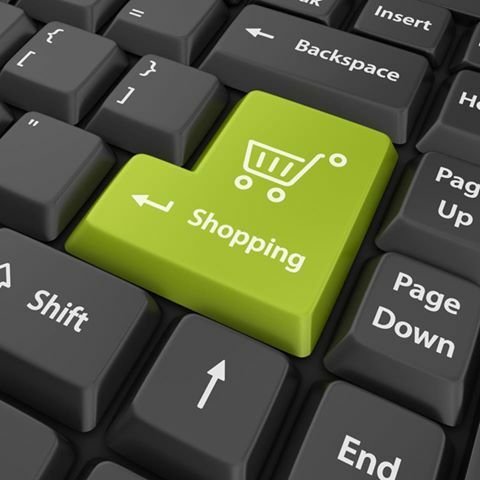 One of the latest brick and mortar business to move online is supermarkets. Huge retailers have been losing their once-loyal customers to intermediary brands like Instacart and Fresh Direct. The thesis of this company is simple. Empower brick and mortar grocers to keep their customers even as they migrate online. This turnkey solution provides a full-fledged online shopping experience with on-demand grocery delivery and pickup. OurCrowd is a better way to invest in Israeli and global startups. To find out more about these investment opportunities and others on our investment platform, contact our Investor Relations team or visit our website. Dani is a marketing manager and research analyst at OurCrowd. He studied economics and political science at Bar Ilan University. Welcome to the November edition of What We’re Investing In. For all the first time readers, every month we compose a summary of all the currently funding investment opportunities on the OurCrowd platform. This month, we’ll take a look at four companies ranging from a fast growing car rental business to a “free-dimensional” video technology company. To find out more details about these companies, join and accredit at www.ourcrowd.com. The sharing economy is one of the fastest growing segments in the tech world today. Pair that with the unprecedented growth of recent Internet penetration in India (350M people online and growing), and you’re looking at a market ripe with opportunity. This particular company is capitalizing specifically on an opportunity in the private transportation market in India. The majority of the Indian population that can’t afford to buy their own cars currently rely on chauffeured ride-sharing applications like Uber or Ola Cabs. This company allows its customers to rent cars through an intuitive mobile app, pick up the car at one of hundreds of local spots in various major Indian cities, unlock the car with their phone, and drive away. The company launched with seven cars in 2013 and now owns a fleet of over 1,800 cars. OurCrowd is investing in a leading business intelligence software company that removes the dependency and need for expensive data scientists. Large organizations are looking to leverage the ever increasing amount of collected data to gain a competitive edge. Because the current process of translating data into coherent insights is so IT driven, companies end up waiting a long time for information that will help them make informed business decisions. This company allows any member of a company to process data without a line of code and in a matter of minutes. The platform is extremely cost efficient, eliminating the need for consulting data scientists, and providing instant insights that can lead to more immediate ROI. Israel has become renowned for its thought leadership in most of the major industries being innovated today. Data storage is one particular area that Israeli entrepreneurs have excelled in. OurCrowd is investing in an Israeli storage company addressing the multi-billion dollar, on-premise storage market. While there are tons of companies focused on cloud-based solutions, this company is utilizing available memory on computers throughout a company’s network to store both structured and unstructured data. This approach has two unique advantages over existing solutions. Firstly, because the data is being stored on a company’s in-house computers, the need to invest in data storage hardware is essentially eliminated. Secondly, spreading encrypted data throughout thousands of company computers eliminates the cyber security risks associated with cloud-based solutions. For all the sports fans out there, this one’s for you. Imagine watching a football game and being able to see the field from the point of view of the quarterback, as he dissects the defense, scheming to craft the perfect play. 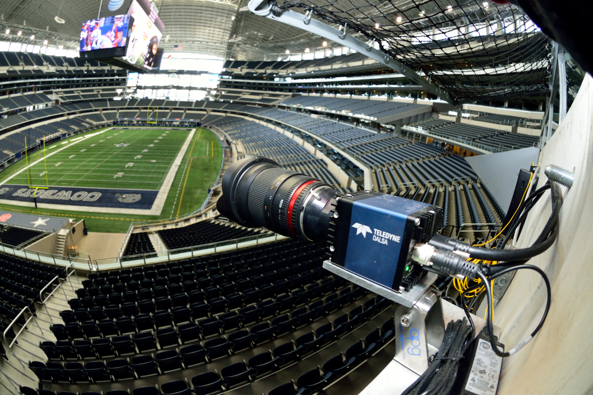 By installing ultra HD stationary cameras around a stadium, this company is able to capture any moment in 3D, providing a qualitatively better viewing experience for the spectator. Instead of watching one replay from 5 different angles, you can get one 360° reenactment of the given moment. This technology has applications in multiple markets, such as coaching and analysis, broadcasting, and virtual reality. As OurCrowd’s investments continuously grow both in size and quantity, our existing portfolio companies are rapidly expanding too. To date, OurCrowd has invested over $160M in 80 portfolio companies, many of which won international awards and are widely acclaimed for their innovative products and amazing all-star teams. In 2014 alone, over 260 jobs were created within OurCrowd’s portfolio companies, post-investment. Webydo is looking for a talented and experienced content marketing professional to increase user engagement and generate traffic. To apply, submit your resume including demonstrated results supporting the culture, abilities and responsibilities of the role to ella@webydo.com and they’ll be in touch. Content Strategist; Tel Aviv, Israel. Cloud Software Developers (For Innovative C2 System Development) Experience; Petach Tikva, Israel. Excited about changing the world through the web? Amitree is currently looking for 1-2 stellar engineers to join in on their adventure! Ruby Software Engineer – Payroll; Toronto, Canada. Product Manager, Payments; Toronto, Canada. Customer Support Heroes; Toronto, Canada. Associate Consultant, Customer Success; Toronto, Canada. Customer Marketing & Advocacy Consultant; Boston or Palo Alto, USA; Remote employee; Toronto, Canada. Onboarding Specialist, Customer Success; Toronto, Canada. Senior Software Engineer; Palo Alto, USA. Product Marketer; Boston or Palo Alto, USA; Toronto, Canada. Product Manager / Sr. Product Manager; Palo Alto, USA or Toronto, Canada. Account Executive; Boston or Palo Alto, USA; Toronto, Canada. Customer Strategist; Boston or Palo Alto, USA; Toronto, Canada. Sales Development Representative; Toronto, Canada. Senior Node JS Engineer; Los Gatos, CA, USA. Xamarin developer; Los Gatos, CA, USA. QA Lead Engineer; Los Gatos, CA, USA. System Integrator; San Francisco, USA. Product Engineer; San Francisco, USA. Lead Node.js Backend Developer; San Francisco, USA. Android Developer; San Francisco, USA. Firmware Developer; San Francisco, USA. Test Engineer; San Francisco, USA. Data Scientist; San Francisco, USA. Engineering Project Manager; San Francisco, USA. Frontend Developer; Tel Aviv, Israel. Director of Client Success; New York City, USA. Account Manager; Tel Aviv, Israel. GUI/UX Designer; Tel Aviv, Israel. Director of Digital Marketing; Beer-Sheva, Israel. Cyber Intelligence Lead; New York City, USA. DevOps Engineer; New York City, USA. Cloud Security Pre-Sales Engineer; New York City area, USA. 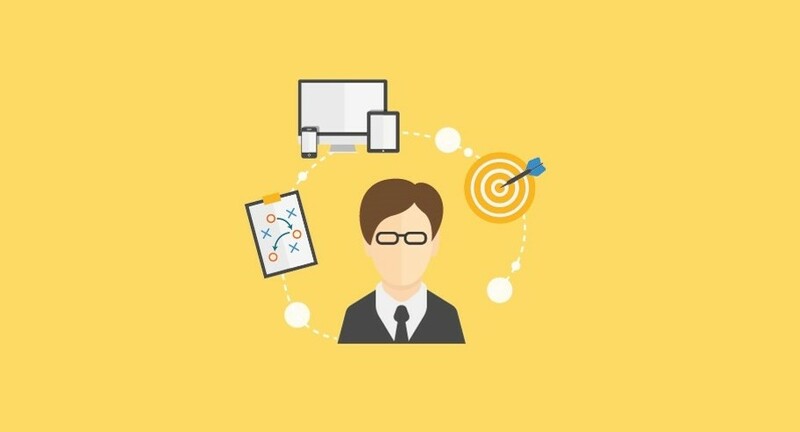 Start-up Demand Generation Professional; New York City area, USA. Clinical Research Associate (CRA); Israel. Financially Oriented Technical Writer; Modiin, Israel. Financial Controller; New York City, USA. SoBi Long Beach Ambassador; Long Beach, NY, USA. Field Support Engineer; Chicago, USA. Territory Manager; West Coast USA. Director/VP of Sales; Silicon Valley. Senior Web Application Developer; San Francisco, USA. Account Manager; New York or Palo Alto, USA, or Tel Aviv, Israel. Director of Product Marketing; Solana Beach, CA, USA. Field Application Engineer; Solana Beach, CA, USA. Senior Web Application Engineer; Solana Beach, CA, USA. DevOps player; Tel Aviv, Israel. Senior Mobile Developer; Tel Aviv, Israel. Junior Technical QA Engineer; Tel Aviv, Israel. Algorithms Research; Tel Aviv, Israel. Senior Engineer; San Francisco, USA. Mobile UI/UX Designer; San Francisco, USA. Mobile UI/UX Design Consultant; San Francisco, USA. VP Product; Tel Aviv, Israel. Head of Sales; New York City, USA. Remote Marketing Intern; New York City, USA. As SightDx grows, they will be recruiting excellent Mechanical Engineers, Physicists, Biochemists, and Algorithm Developers. Visit their careers page to find out more about open positions. Applango is looking for talented and highly motivated individuals to join its team. The company has offices in Israel, Connecticut, Colorado, and Texas, to apply contact jobs@applango.com. Want to join the freight revolution? Check out Freightos’ available positions. Account Manager // Customer Success Department; Ramallah. Data Analyst // Product Department; Jerusalem, Israel. Data Analyst // Product Department; Ramallah. Data Engineer // Customer Operations Department; Ramallah. Data Services Support Engineer // Customer Operations Department; Ramallah. Human Resource Manager // HR Department; Ramallah. Junior Technical Account Manager // Customer Success Department; Jerusalem, Israel. Procurement and Office Coordinator // HR Department; Ramallah. Scripting Specialist // Customer Operations Department; Ramallah. Software Development Engineer // R&D Department; Ramallah. Viewbix is looking for a passionate professional who’s excited about joining a fast growing startup and will thrive in a startup culture. Send your CV to job@viewbix.com. Venture capital activity dropped in the first quarter of 2015. For the first time since 2011, under 900 deals received funding from venture capital firms. Equity crowdfunding, on the other hand, continues to see a steady, impressive rise in dollars invested. According to Crowdnetic’s Eric Smith, the young equity crowdfundung market is poised to double every year, as more and more individual investors learn about the opportunity. Finding promising early stage investment opportunities is an art. 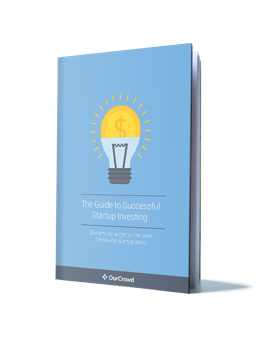 To find the right companies, the OurCrowd investment team sifts through upwards of 150 startups per month. Often, due to the size of the round or the maturity of the company, they are forced to pass on great, early stage opportunities. To address this, for the first time on the OurCrowd platform, we are offering an opportunity to invest in a fund composed of early stage startup companies. The fund will make 20+ investments, ranging between $300K and $500K. The fund model has numerous benefits over investment in individual companies. Investing in a fund allows investors to build a robust, diverse portfolio with one single commitment. Returns are also based on the performance of the entire fund, which greatly increases your chances of profitability. OurCrowd First is being managed by serial entrepreneurs Eduardo Shoval and Yori Nelken. Both Eduardo and Yori have exited numerous companies and have served as mentors, coaches, and board members of startup companies. Influitive is the leading B2B advocate marketing software that enables companies to mobilize their advocates into brand ambassadors. Customer advocacy is by no means a new phenomenon. Satisfied customers are usually happy to share your product or service with a friend, with no real incentive. The Influitive solution allows companies to both encourage advocacy, and reward individuals for their efforts. The platform is gamified and points accrued can be used for rewards and preferential treatment with the company running the advocate hub. Influitive is a company we know well. We’re not just investors, we’re also paying customers. OurCrowd has been using Influitive internally for the past few months to power employee advocacy and we are in the process of sending out our first batch of invites to members of our investor community. We were so impressed with the product and the overall opportunity that we aggressively pursued an investment in this round. This is CEO and founder Mark Organ’s second venture in the marketing software space. Eloqua, his previous company was sold to Oracle for $871M. Click here to learn more about Influitive. The Internet of Things (IoT) is one of the hottest startup segments in the tech world today. There are currently an estimated 14 billion connected devices globally, translating into billions of dollars of revenue for IoT companies. Stringify, formerly known as Milla, is quickly becoming the marketplace for developers and consumers to connect internet enabled devices on any operating system. The Stringify design studio allows individuals with no technical background to customize how their smart devices interact with each other. An example flow using Stringify would be, “At 8PM when I close the door to my bedroom, dim the lights, lower the temperature by 5%, and play calming music.” These flows are saved in Stringify’s marketplace and can be purchased by other smart device enthusiasts. Stringify’s impressive management team brings years of experience from companies such as Cisco, JPMorgan Chase, and SanDisk. OurCrowd first invested in Stringify in October 2014. Click here to learn more about Stringify. Today, anything from weddings, to charities, to life-changing technologies, any project can be crowdfunded. HeroX, an incentive-prize competition platform is doing the exact opposite of crowdfunding. Since the early 1900’s, people have been hosting competitions to inspire innovation. In 1919, Raymond Orteig, a New York based hotel owner offered $25K to the first person who created an airplane that could fly from New York to Paris directly. 8 years later, Charles Lindbergh claimed the prize in his aircraft Spirit of St. Louis. Research shows that a well structured competition with the proper incentives can encourage teams to invest 10X the prize amount to declare victory over competing teams. Peter Diamandis, co-founder and director of HeroX, is also the founder and chairman of the X Prize Foundation, one of the original incentive competition platforms. Peter and fellow HeroX co-founder Emily Fowler, who also worked at XPRIZE, realized that they were passing up on great organizations who were too small to host competitions with the XPRIZE. That realization gave birth to HeroX, an online platform capable of hosting smaller scale, yet equally as important prize based competitions. HeroX’s platform assists challenge hosts with challenge designs, project management, marketing, and recruiting trained judges to manage scoring and award winning. Click here to learn more about HeroX. 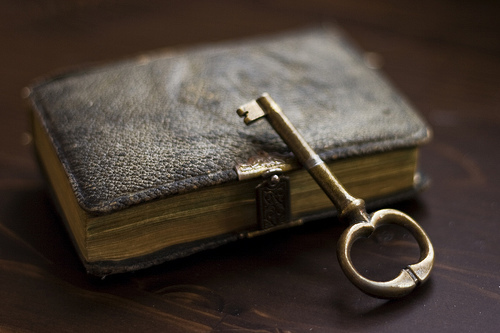 Self-education is the first step to successful startup investing. With this eBook, familiarize yourself with basic terminology, tips and strategies to help you begin building your portfolio.